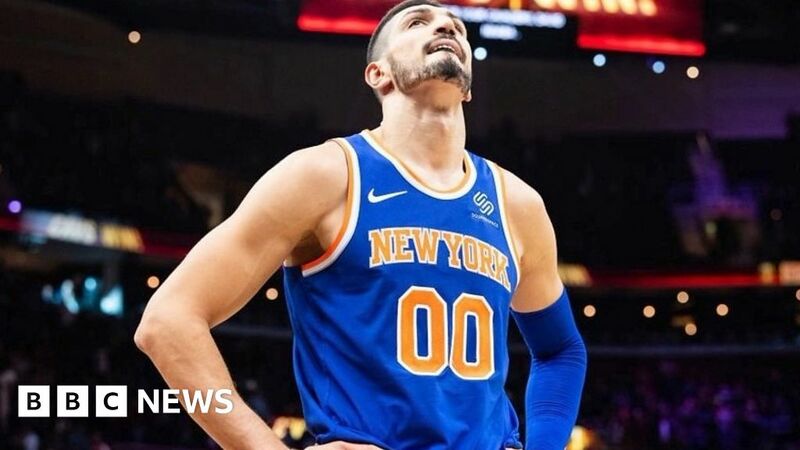 NBA team the New York Knicks will be playing against the Washington Wizards in London on Thursday – but the Knicks will be without star player Enes Kanter. The 26-year-old centre has been a vocal critic of Turkish President Recep Tayyip Erdogan – who he’s called “a dictator” – and says he’s afraid he’ll be sent back to Turkey if he gets on a plane to London. Turkish media reports that an international arrest warrant has been issued for the NBA star.